The ECM 830 is a versatile electroporation system suitable for applications for gene, drug and protein delivery including: CRISPR, mammalian cells, in vivo, ex vivo, in ovo tissue, ex plant and nuclear transfer. The ECM 830 is a square wave pulse generator designed for in vitro and in vivo applications. The versatility of the ECM 830 applications for gene, drug and protein delivery include; mammalian cells, in vivo, ex vivo tissue, zebra fish tissue and embryos, nuclear transfer, embryo manipulation, plant protoplast and basic bacteria and yeast transformations. 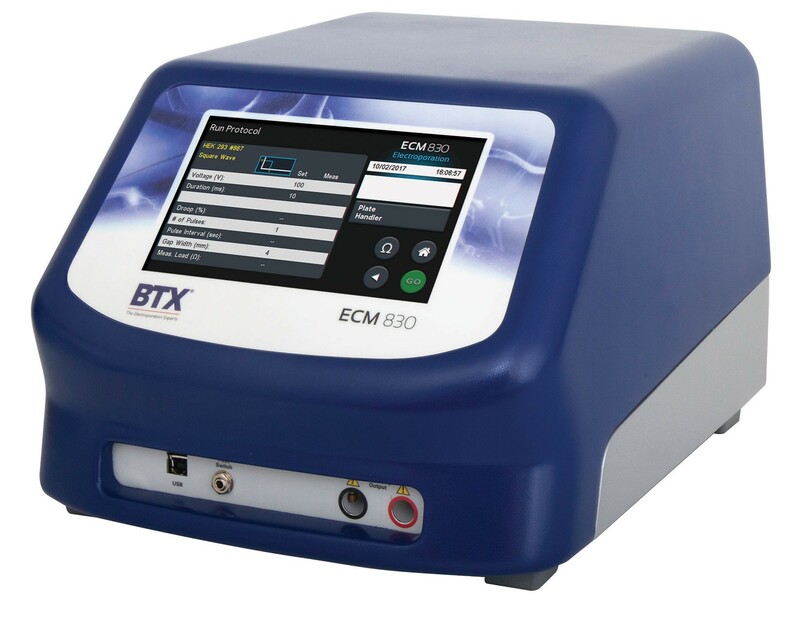 The ECM 830 can be used in combination with a wide array of BTX specialty electrodes and accessories to enhance your molecular and drug delivery experiments. The ECM 830 is intended For Research Use Only. Not for use in diagnostic, pre-clinical, or clinical procedures. The ECM 830 generator coupled with the Petri Pulser electrode or the adherent cell electrode allows researchers to avoid the trypsinization of their cell by electroporating adherent cells directly in the dish they are growing in. The Petri Pulser electrode is ideal for 6-well plates and the adherent cell electrodes for 12-well plates. The High Throughput (HT) 96- and 25-well systems offer the advantage of multi-well electroporation technology for processing multiple samples in seconds. This permits a large number of samples to be quickly electroporated using high throughput plate handler technology. Using the HT Multi-Well plates instead of traditional cuvettes, the researcher can transition from a single cuvette to either a 96-well or 25-well electroporation plate by using a plate handler. This increases yields and the number of experiment runs in a single day. Experiments take seconds to run, allowing for quick and efficient optimization of the electrical and biological parameters. Once optimized, samples are rapidly processed increasing yields and saving valuable time and money. 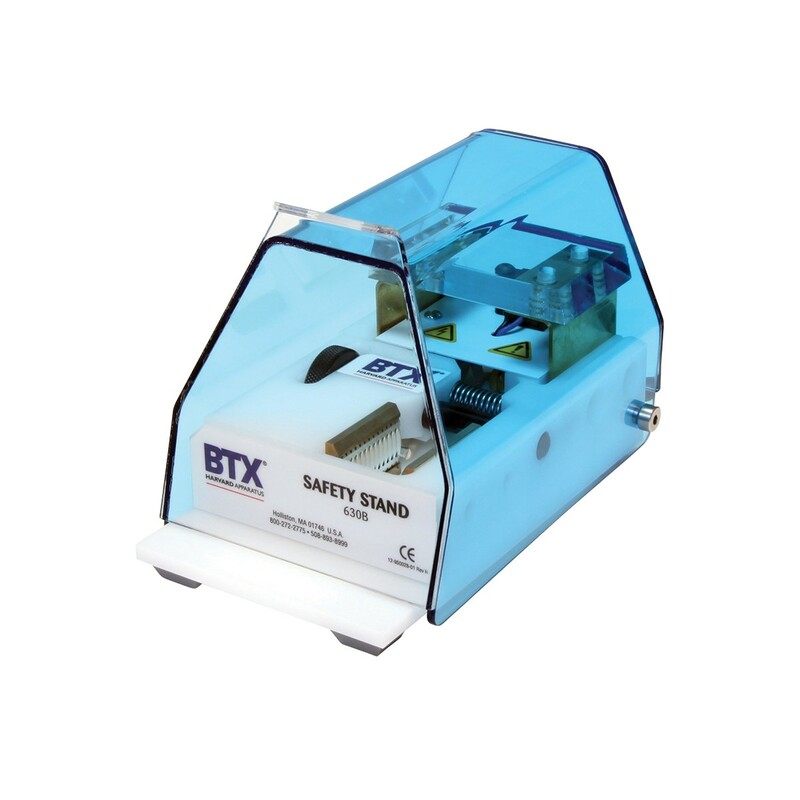 The key to the HT System is the combination of the ECM 830 Generator with the Plate Handler and multi-well plates. The Plate Handler holds the plates and delivers the pulse(s) to the wells using parameters set in the ECM 830 generator. The ENHANCER 3000 allows the researcher to monitor and track key electrical parameters used in electroporation applications. The electrical pulse data is captured as both a graphic display of the wave form and electrical output values following each electroporation experiment.